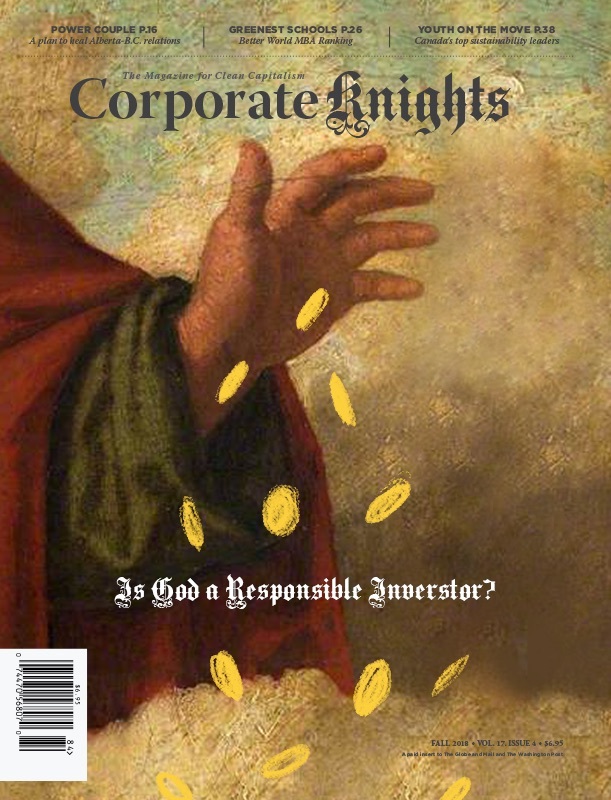 Featuring the second-annual Future 40 Responsible Corporate Leaders in Canada ranking. An entrepreneurial shift among Israeli youth is helping to create a green oasis in a country worried about dependence on oil. 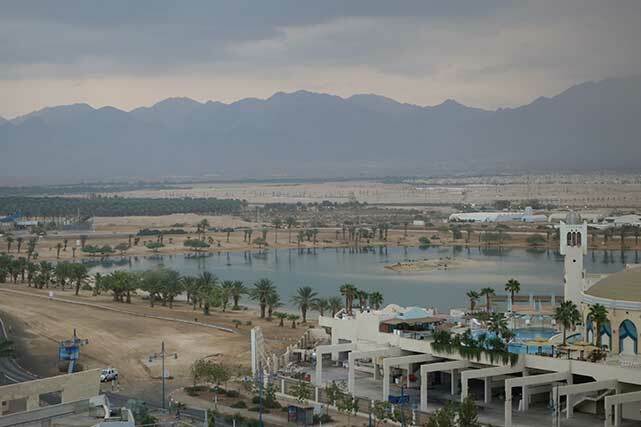 New Marina lagoon in Eilat, Israel's southernmost city, with mountains marking the border with Jordan. EILAT, ISRAEL – Sagi Giat and Michael Harel are sitting on poolside chaise longues, gushing about the low-friction motor they’ve just designed. At 18, one might expect them to be taking more of an interest in the bikini-clad, cocktail-sipping tourists basking in the winter sun next to them, or the windsurfers skimming across the Gulf of Aqaba in the distance. But no, it’s all about magnetically suspended ball bearings. Although they seem like old friends, Giat and Harel have in fact just met as fellow participants in an international youth competition that invites high school students to Israel’s southernmost city to work on solutions to environmental problems. The Sustainergy competition, now in its third year, is part of a broader initiative to turn southern Israel into a hub of green technology. Modesty is not a virtue in the world of Israeli entrepreneurship, particularly among young people. And while Giat and Harel may be exceptional in their engineering know-how, their determination, energy and chutzpah are part of a broader culture adept at marrying problem-solving and money-making. 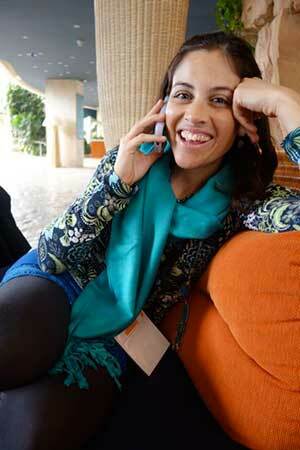 Avital Nusinow, 34, lives on Kibbutz Ketura and works for the alternative energy authority in Eilot, about a kilometre north of Eilat. There are multiple impetuses behind the green shift. Some Israelis cite the Biblical maxim of Or LaGoyim, the notion that Israel, as a “Light unto Nations,” should provide guidance for the rest of the world in combatting global warming. Others refer to the huge economic potential for renewables, particularly in markets like China and the United States, and the superiority of Israeli technologies in related areas. The Israeli government, for its part, is absolutely clear in its motives: to stop lining the pockets of its enemies by importing Arab oil. The entrepreneurial drive of the Millennial Generation is a key part of that effort. In 2011, Netanyahu established an inter-ministerial authority whose mandate is to replace 60 per cent of the oil used in transportation by 2025. To get things rolling, his office set aside $30 million (U.S.) in support for entrepreneurial efforts in this area. Roll they have. SoftWheel is a Tel Aviv-based start-up which has, modestly, “reinvented the wheel.” The inspiration came from a farmer in southern Israel whose broken pelvis landed him in a wheelchair, which had such poor suspension it nearly broke the man’s back. The farmer brought his conundrum to an incubator in Tel Aviv where it attracted some young engineers, venture capital and support from the Ministry of Economics. After three years of tinkering, a small team had developed a wheel with no spokes and a mobile, shock absorbent hub whose suspension reduces by 25 per cent the energy consumption of any vehicle it carries. While the first applications have been in wheelchairs and bicycles, the company is now in conversation with car manufacturers. SoftWheel could be pulled off the pages of Start-up Nation, the 2009 bestseller in which Dan Senor and Saul Singer ask why Israel, a tiny country with minimal natural resources and maximum political challenges, has ended up with more high-tech startups and a larger venture capital industry per capita than any other country in the world. The authors settle on two main factors: immigration, including the glut of Soviet scientists and technicians that have poured into Israel since 1989, and mandatory military service for young Israelis. Rozanes is working on product development for SoftWheel and with all parts being manufactured in Israel, she enjoys the benefits of “in-house production” – nothing in Israel is more than a few hours away from Tel Aviv. She also loves the informality of Israeli culture, quite a contrast from her native Switzerland. Senior is relative. At 46, Dror Cohen is SoftWheel’s oldest employee. Cohen was an F-16 combat pilot in the Israeli air force when he was in a car accident during a routine base transfer. He was 24, paralysed from the waist down. Some would be bitter. But Cohen, who has gone on to be a Paralympic champion in sailing, has only good things to say about the military. But Israel’s real world is complex. One major obstacle to the green transition is a political cycle that spins so quickly that politicians, defaulting to populism, don’t want to rock the boat by pushing renewable energy, which is widely perceived as being more expensive. “In Israel we call our neighbours unstable, but in fact most of them are autocrats who remain in power for 40 years while we have trouble holding onto a government for one,” muses Yossi Preminger. Tousled and slightly pot-bellied, Preminger describes himself as a freelance problem-solver. He’s attending the conference as a consultant to two young entrepreneurs who have developed an application that will load Israel’s electronic bus and train tickets onto passengers’ smart phones. Young is truly young: the 14- and 15-year-old founders of Rav Kav Plus are so busy giving interviews to the Israeli media that Preminger finds himself manning their exhibition stand alone. His cynicism is widespread. The alternative energy sector in Israel is despairing of a government that talks the talk but refuses to remove hidden subsidies from conventional fuel sources and allow alternative energies to compete on a level playing field. Adding to the challenge is the recent discovery of vast natural gas fields in the Mediterranean that provide Israel with an enticing alternative to renewables. Since that discovery, the natural gas portion of Israel’s energy mix has soared, reaching 42 per cent in 2013. The largest slice of the energy pie is coal, at 54 per cent. Oil sits at 3 per cent and renewables wallow at less than one per cent. Although this figure is steadily growing, critics call it pathetic. Nor are they impressed with the targets that the government has set: to reduce growth in greenhouse gas emissions by 20 per cent by 2020 compared to “business as usual,” and to boost the renewable portion of Israel’s energy mix to 10 per cent over the same timeframe. Abramowitz, named by CNN as one of the world’s top green pioneers, has a vested interest in having that happen. The 51-year-old entrepreneur and activist, who recently ran for the Israeli presidency, is co-founder of Arava Power. In the last four years, the company has developed several mid-sized solar fields on the Arava and Negev deserts of southern Israel. Last summer for the first time, the Arava region powered itself exclusively off solar. Arava Power’s goal is to supply 10 per cent of the Israeli grid. “Israel holds the seeds of salvation,” says Abramowitz, outlining what sounds like a straight-forward action plan: swapping coal for natural gas, improving grid-level storage, committing to electric vehicles. But the government is “killing” the opportunity, he adds. To make his point, he pulls out a plastic water bottle filled with black sludge, then pours himself what looks like a cup of diesel and smiles as cell-phone cameras flash. 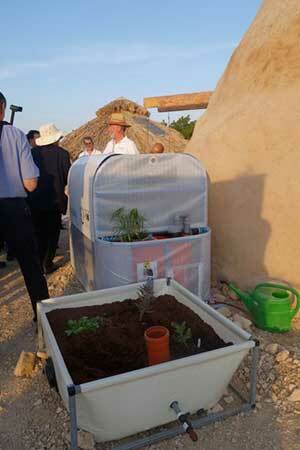 A family biogas unit forms part of a demonstration village of offgrid technologies in Kibbutz Ketura, north of Eilat. It’s this kind of talk – and success – that motivates Israeli youth. It also sets them apart from their peers in the Middle East. With a median age of 30, Israel is a young country, but not as young as its neighbours. In many countries of the Arab Middle East, 60 per cent of the population is under 30, which may seem enviable from a North American or European perspective, but becomes very problematic in combination with youth unemployment rates of around 40 per cent. It was the lack of prospects for young people, combined with spiking food prices and frustration with despotic leaders, that tipped the balance towards revolution in the countries of the Arab Spring. No such foment is evident in Israel, and although the rising cost of living has dominated the agenda in the most recent election, the country’s prospects are generally bright with unemployment at 6 per cent (youth unemployment around 11 per cent) and the OECD projecting 3.5 per cent growth in the coming year, well above member average. Not that life for Israeli youth is a bowl of cherries. The World Health Organization’s Health Behaviour in School-Aged Children (HBSC) survey has found consistently over the past two decades that Israeli teenagers have higher levels of anger, risky behaviour, recreational drinking and negative feelings about school than youth in most European countries. In 2002, a national poll of Israeli teens – all young adults today – found high rates of pessimism about the future, including the fear that terror attacks will destroy the State of Israel. Memories of terror during the intifidas were found to have a lasting impact on the psyches of Israeli youth of the day. But for the likes of Michael Harel and Sagi Giat, the future’s looking really good. Proudly donning their Sustainergy t-shirts, the boys talk about their military service, which will begin later this year. As for their innovative motor, which won second place in this year’s competition, they’re planning to register a patent and wait for nibbles from investors. First they have to finish high school.